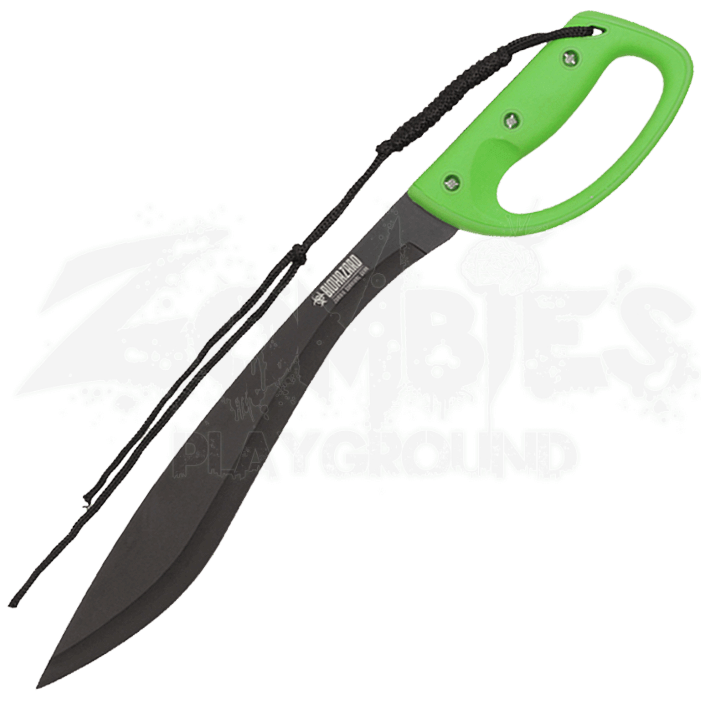 For the completion of common survival tasks or dealing with the unusual conditions that arise during an apocalypse, the Green Biohazard Kukri Machete comes in handy. Its all-purpose design has proven its worth in countless situations. This modern, stylized take on the classic Central Asian machete blends right in with a dystopian setting. 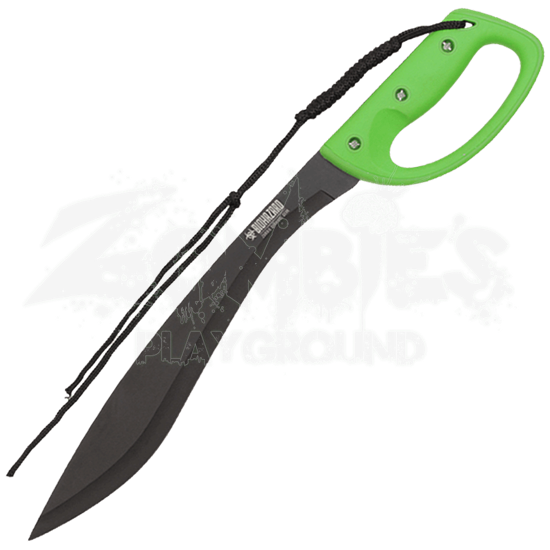 A black finish covers the stainless steel blade while neon green plastic forms the grip. The D-handle along with a paracord lanyard support a firm, steady hold. A black nylon sheath is included, ensuring that this helpful survival tool stays within easy reach.